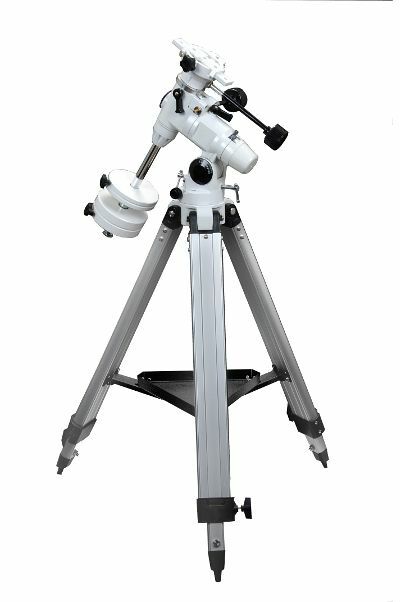 The superb EQ3-2 is a sturdy mount that offers precision and stability along with a host of other features for the serious astronomer. The mount rests firmly on a large, adjustable aluminium tripod with accessory tray, and includes a bubble level to allow for quick and accurate levelling. Slow-motion control knobs are included for continuous manual tracking of celestial objects. The precision mount features full 360º worm-gear tracking controls on both R.A. and DEC. axes.